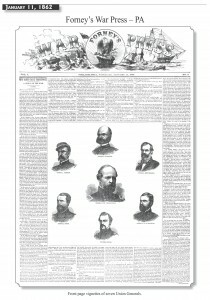 This newspaper article from January 11, 1862 in Forney’s War Press features front page vignettes of seven Union Generals. 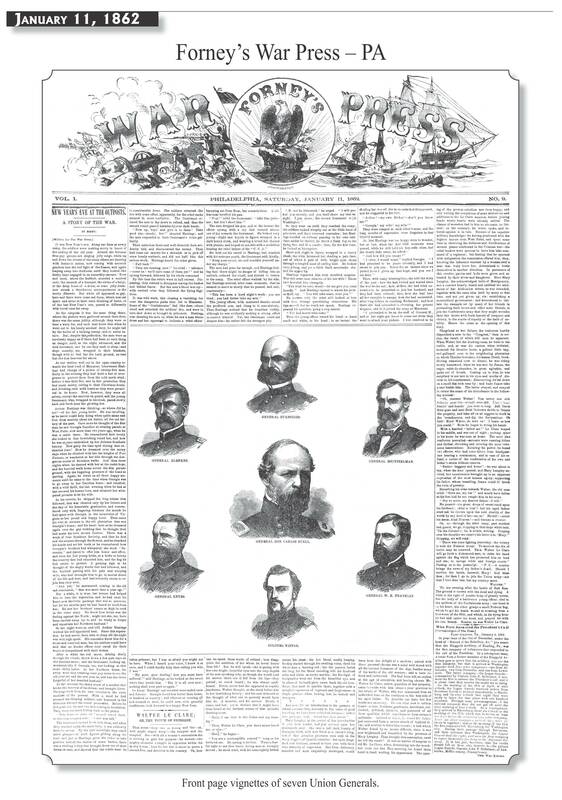 The Generals that appear are General Blenker, Burnsides, Heintzelman, W.B. Franklin, Wistar, Keyes, and Don Carlos Bueli.